Customers can make contact via the website or a dedicated national telephone number, which will redirect them to the dealer who will take care of their specific demands; fulfilling the request as soon as possible after it is received. Logistical requirements are the compass every company must be oriented with in order to set up an efficient business and to be in step with the times. Peaks of work, seasonal demand increase, unexpected truck breakdowns, difficulty in finding the ideal partner for tough handling requirements or highly specific requests: these are just some of the common events that companies need to come to terms with, while still managing the daily workflow. The Yale dealer network consistently provides a wide range of high quality and reliable products, ideal to meet diverse logistics requirements. From manual to electric pallet trucks to counterbalance trucks, and from the MR reach truck series to very narrow aisle trucks, Yale products for materials handling solutions are designed to fit customer requirements. In addition, due to a national distribution network, the company is able to find a customised professional solution geographically close to customers. 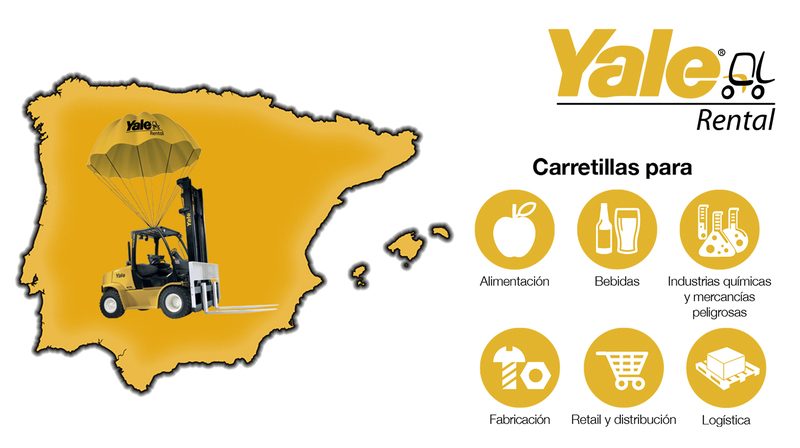 Appreciation of materials handling needs and customisation are the key values that distinguish the new Yale Rental service. This service will respond to materials handling needs thanks to the broad range of Yale products. 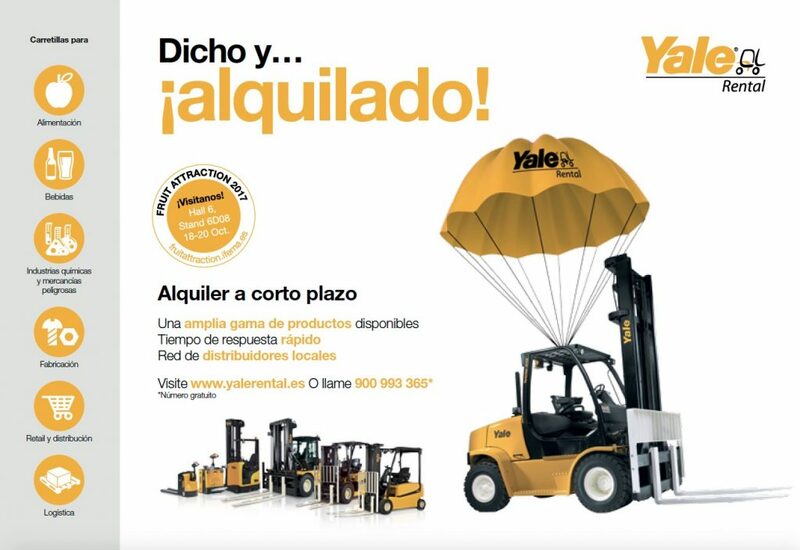 Contact the nearest dealer in Spain and take advantage of customised solutions for materials handling, by calling 900 993 365 or visit www.yalerental.es. For short term rentals within your country, please visit the Yale Dealer Locator. This entry was posted in 3 Wheel Electric Trucks, 4 Wheel Electric Trucks, Compact Internal Combustion Trucks, Dealers, Electric, Internal Combustion Trucks, MX, Order Pickers, Pallet Stackers, Pallet Trucks, Pedestrian Stacker, Reach Trucks, Rider Pallet, Rider Stacker, Very Narrow Aisle Trucks, Yale Rental Service and tagged Affordability, Cost Reductions, Dealers, Fleet, Materials Handling, Spain, Yale, Yale Europe Materials Handling, Yale rental programme, Yale Rental Service. Bookmark the permalink.